Quilting at the Village invited you to visit beautifully decorated garden spaces and rooms in Pearl Krush's busy quilt shop and design studio. Delightful displays filled with projects you'll want to create for your home will inspire you. 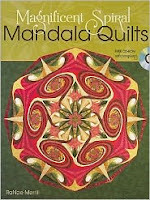 Magnificent Spiral Mandala Quilts, author RaNae Merill explores the traditional Mandala. The 'Mandala' (meaning 'universe' or 'wholeness') quilt is defined as a traditional pieced quilt, built around a common center point, utilizing 'wedges' to create movement within the center. It is repetitive in its wedge design and valued for its continuity and symmetry'sometimes utilizing reflective design. 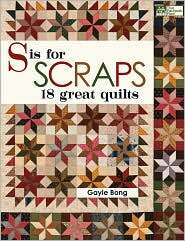 For every quilter there's a mound of scraps—and for every scrap there's a quilter wondering how to use it! With striking styles that move beyond basic strips and squares, Gayle Bong speaks directly to what many quilters struggle with: how to select fabric for a scrap quilt. 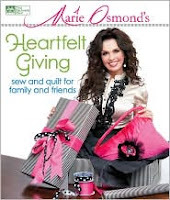 Enjoy the fun of quiltmaking in the delightful company of Marie Osmond! Marie learned to sew at an early age, as you'll see in a rare look at some of her favorite childhood photos. 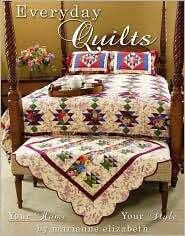 She continues to share her love of quilting and sewing by making treasured gifts for family and friends. 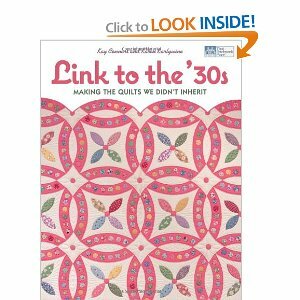 You'll find exquisite photos and step-by-step instructions for more than 25 projects, including her "Paper Roses" quilt, bags, aprons, and gifts for babies, teens, friends, and even pets. Brighten up any room with fun, contemporary, and functional projects exploding with sensational color! Fresh Quilting presents 21 brilliant designs featuring quilt artist Malka Dubrawsky’s intoxicating colors and unexpected palettes. Learn to create beautiful and lively pieces for you and your home—from modern quilts and fun pillows to flirty bags and scarves. 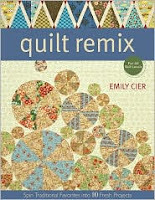 In addition to clear directions and step-by-step illustrations for machine-sewn patchwork and quilted projects, Fresh Quilting includes a detailed section of techniques from basic piecing, cutting, and measuring methods to more advanced techniques such as inserting zippers into pillow backs and using bias binding to finish a quilt. Throughout Fresh Quilting, Malka will teach you how to adventurously and confidently mix colors and prints. You’ll be inspired to infuse your own brilliant palettes into each project and discover just how irresistible and beautiful contemporary quilting can be! Make every morning a "bed and breakfast" experience! Imagine creating an entirely new look using nothing more than fabric. 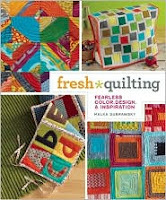 Explore quilting from the eyes of a designer, learning how to choose fabulous fabric palettes. No matter what your style, Marianne Elizabeth shows you a new approach to fabric selection, quilt patterns for creating your own suite retreat and how-tos that will make it easy to be sew successful! 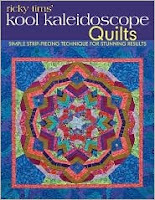 Create a spectacular kaleidoscope quilt with Ricky's unique strip-piecing method for making a multi-faceted pattern. You'll see impressive and intricate results from simple sets of strips; it's foolproof with little need for pre-planning. The beauty lies in the unpredictability of how the fabric unfolds - just like a real kaleidoscope! You'll love the dramatic results you get with this modern approach to quiltmaking. 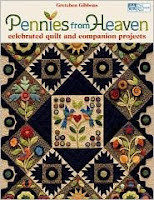 Popular author/designer team of Weeks Ringle and Bill Kerr present their design and construction methods with 10 projects, then show you how to transform their ideas into quilts that truly express who you are. Here's music for your ears! New settings and colorways for all your favorites-Log Cabin, Nine-Patch, Irish Chain, Flying Geese, Pinwheel, and more. You'll love these quilt designs made with fresh, fun fabrics for any home. 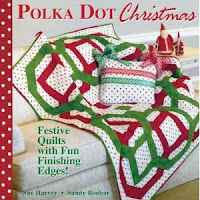 For a fresh, fun look, nothing says it better than polka dots, especially for Christmas. 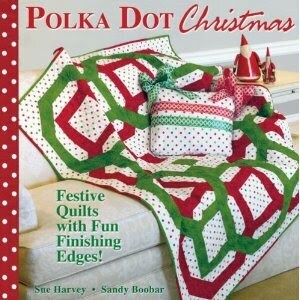 Each festive holiday project is splashed with polka dots for a contemporary twist to traditional style. For an added touch of pizzazz, each quilt features a fanciful finishing edge. With their beautiful, soft sepia color range, contemporary Japanese quilts stand out for their sophisticated reinvention of patchwork and appliqué blocks. 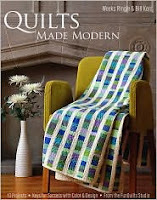 These cool, calm quilts are as much at home in modern country style as they are in chic, urban settings. 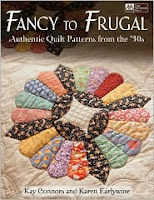 The harmonious fabrics are easily combined, often with accents of brick red, olive green, or yellow ocher, to create a new yet nostalgic style that resonates with quilters all over the world. 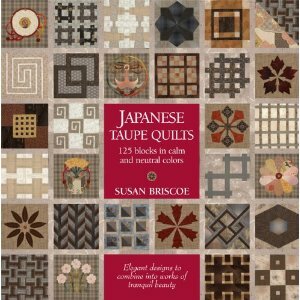 In Japanese Taupe Quilts, acclaimed textile artist Susan Briscoe offers a wealth of tips, techniques, and ideas for both the beginner and the experienced quilter. The block patterns have been drafted from a variety of traditional block sources, including Japanese fabric, paper and architectural designs, and kamon family crests. For each block there is a photograph, a clear instructional diagram or template, fabric palette and cutting guide, as well as detailed instructions for making the block. At-a-glance icons indicate skill level and techniques used. 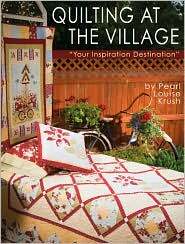 Patchwork, appliqué, embellishment, and quilting techniques are clearly explained with step-by-step photographs, from cutting out to finishing off. The blocks can be mixed and matched, tessellated for allover patterns, or combined into sampler quilts. 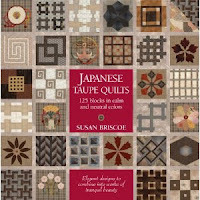 Combination ideas are supplied throughout the block directory, together with six simple projects -- a pillow, lap quilt, tote bag, table runner, wall hanging and satchel handbag -- to inspire readers to create exquisite quilts in the distinctive Japanese taupe style. Filled with marvelous collections, Kaffe's home is an ever changing canvas where you'll discover how to combine rich colors and textures to create brilliant decorative accents of your own. For over 20 years, Kaffe has encouraged students to wake up their senses to a new appreciation of color. 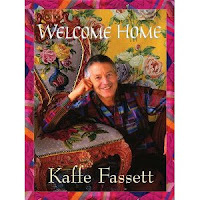 In this spirit of discovery, Kaffe Fassett welcomes you to his home!